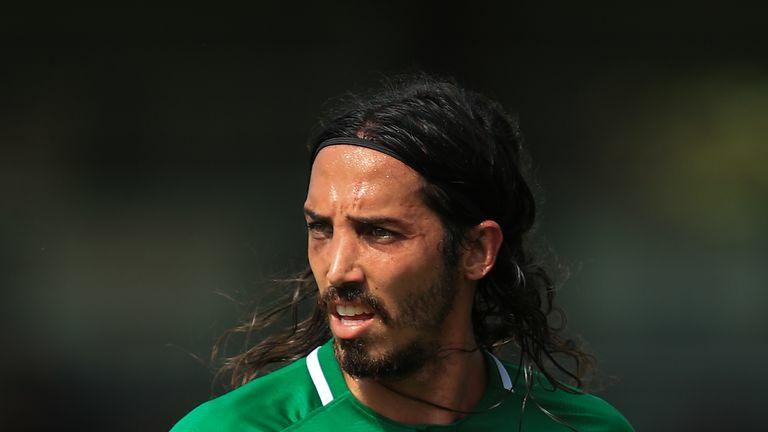 Chris Hughton says he is expecting a quiet end to the January transfer window, but is confident of a loan deal for out-of-favour defender Ezequiel Schelotto. The Argentine joined Brighton from Sporting in 2017, but has not made a competitive appearance for the Premier League side this season. Hughton says the club are working to secure a loan to allow Schelotto game time at another club, but reiterated they are not expecting any arrivals at the Amex before the end of the month. "You can never say no because you don't know anything that might happen. But my feeling is the same, I don't think we will be bringing anyone in," said Hughton, speaking ahead of Brighton's FA Cup tie against West Brom. Asked about Schelotto, Hughton said: "We are working hard on that one, it is one that is agreeable with both parties. "He has been very good for us and trained very well but of course his opportunities have been limited this season. We are hoping something can happen that way but in regards to someone coming in at this moment, I don't see it." Sky Sports News understands Alexis Mac Allister is likely to undergo a medical at Brighton this week, with the player telling Argentine radio how he would join the club in the summer. This month, Brighton have sold Oliver Norwood to Sheffield United and loaned Markus Suttner to Fortuna Dusseldorf. Questioned whether he was surprised how quiet January has been for Premier League clubs, Hughton added: "Probably yes, because of the nature of our game and the pressure on managers and teams to do well and stay in the divisions. "There's still a small period left and I would expect some business to get done. "I think the realisation is that generally January is not a good time to buy, I know there have been some successes and there will continue to be some successes. "I think the general feeling is that January is not good for your structure or generally planning and maybe that's why it has become a quieter period than anticipated."